Have your organization maintained by professionals offering a complete range of IT services. Track information flow at every level that you choose. Elevate your information process and compliance to a more efficient, cost effective and scalable state whether it be basic, standardized or rationalized. To this end we have 4 service types, each with a dedicated set of standards and wide range of options. The first step in any complex process; we gather, analyze, and review information about your systems in a standardized fashion to ensure that recommendations are sound and service to networks, servers, and other communications systems is effective and minimally disruptive to business processes. This information is organized such that you get a necessary overview of your infrastructure, fast service, and consulting and training when required. Designed for customers with infrequent administrative needs or relatively minor software problems, this service provides scheduled or on-demand (when available) remote assistance billed hourly. In the interest of effective service it is recommended that a customer fill out a service ticket with accurate detail about the computer and the issue that requires attention before connecting with a technician. In shop service of a computer, peripheral, or network device that you bring in or have picked up. This range of services is designed to be more cost effective for customers when time consuming research, diagnostics, or information transfer is required. 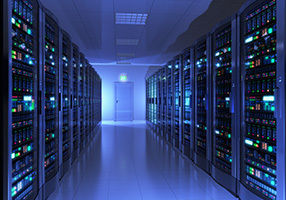 On-site hourly service is available when necessary for servers and networks. Constant support, scheduled review and maintenance. Create a support plan and an IT policy that you can subscribe to on a monthly basis. Options range from having background maintenance and security analysis performed to an IT help-desk that your personnel can make use of to quickly sort out time consuming software issues. You have the option to authorize us on your accounts with 3rd party software and service providers so that we can manage your entire technology infrastructure at your direction while you focus on your business and take advantage of cutting edge technologies in the most efficient way possible. Whether you have a single computer or a network environment we can provide top notch service and support to our customers. We can come to you, or bring your computer in to us. From network design and implementation to troubleshooting, auditing and standardization we provide complete services with procedures standardized for small business. We also provide enterprise level networking and security consultation.